‘Three Sisters’ follows three middle-aged women who are long-time ‘girl-friends’ who reunite on a night out at opera (Chinese opera to be exact). Old habits and feuds die-hard. Miss Young-wannabe clashes with Miss Old and Frumpy and they quibble over the slightest things like not having medicated oil. Watching Leon Cheo’s ‘Three Sisters’ transports me back to the old-fashioned HK Cantonese dramas of the past where catty women take turns to take a jab at each other’s inadequacies. Old dialogue in new packaging is how I would describe the film. There is something a bit mouldy about having three characters distinctly fitted into 3 pigeon-holes – the conservative and frumpy, the hot-blooded adventurer and the arbitrator. 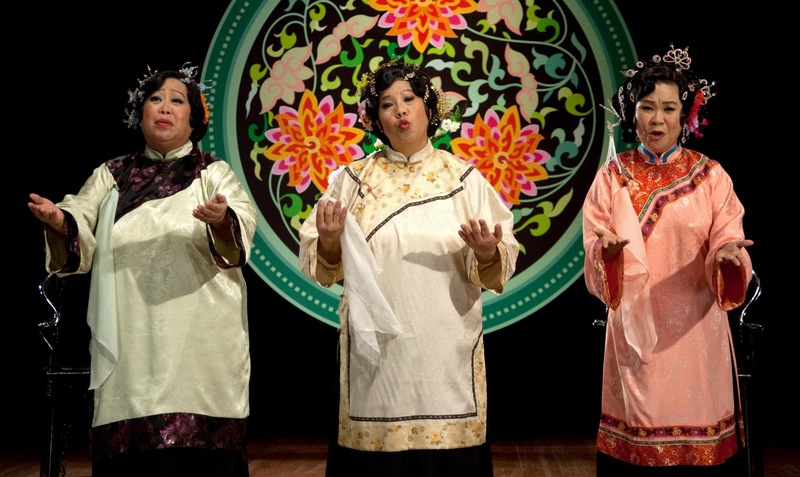 For conversations that don’t surprise, watching the three women fight it out over a verbal war in trite Cantonese phrases was like watching street opera. Leon could have taken lessons from the American sitcom ‘The Golden Girls’ for its wit and humour. But there is actually a flip side to this. Leon takes the drone of the banter among the three women as their natural selves and transposes it to the opera stage. Like a kind of mirage, the opera on stage is acted by the same three women who play the sisters, except now they are the ‘Three Sisters (with bound feet)’. Mirroring their squabbles, the sisters on stage play out a caricaturized version of their real selves. The icing on the cake was a make-believe commercial for medicated oil performed by the three sisters in a kind of rhythmic recital. Gloriously out-of-context but dramatically effective, even narratively so in how it avoided the potentially excessive theatrics of the three women if they were really shown fighting over the oil. 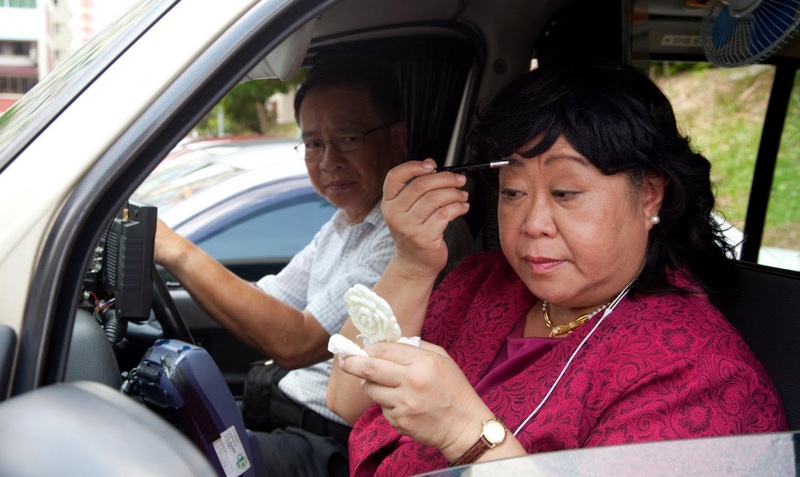 It’s not easy to find aunties who can act these days but the ladies were perfectly-casted and delivered their roles pitch-perfect. Even in moments that were directorially awkward (like the scene in which they waited for the show to start and stood in a line like how actors would blocked in a play), they managed to breathe some authenticity into the scene and make you forget the other components of the mise-en-scene. However, while the actresses were good, there were only as good as the narrative had framed them to be. In the 18 minutes of a show and tell about the three ladies, there was perhaps too much ‘tell’, leaving wanting of more ‘show’, or perhaps just pockets of breathers to take us away from the sometimes nauseating catfights. Medicated oil might work too!